Every time I close my garage door, it does not go all the way down. What's the problem? As typically explained by the professionals at Garage Door Repair Azusa, this is not really a rare situation.The close limit switch may only need adjusting of some sort. However, if this is not the main problem, make sure to check whether the binding of the door is intact when manually raised and lowered. My garage door automatically reverses even before hitting the floor. Is there something wrong? Most likely, yes, there is something wrong.The close force probably needs some adjusting done.If not, if you have an automatic door, check whether the components are running well. 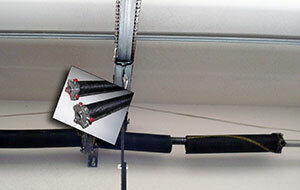 Usually, the solution to this problem is to have your garage door maintained or repaired. It is important to detect possible problems in the initial phase. How safe is my sectional garage door? 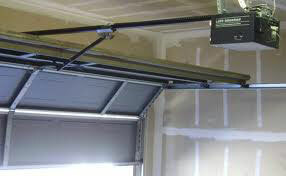 Sectional garage doors provide the ultimate security for your home or office. They are held strongly by the track system in the door frame and this prevents forced entry. However, the door needs to be teamed up with a quality door opener and then it becomes completely impenetrable. Experts of Garage Door Repair in Azusa also recommend using the correct spring system for your safety as it helps counterbalance the weight of the garage door. Does the weather stripping require replacement? Yes, you will have to replace the seals eventually. Our specialists suggest that you replace them when they get torn or worn out. If light comes through the sides of the door when it is dark inside, then you must replace the weather strips as soon as possible. How do I tell if my door spring is balanced? You can check if your door spring is balanced by pulling the release cord. In doing this, you have to make sure that the door is fully closed. Then, manually open the door halfway and let the door go. The door should stay in the same position. If the spring is not balanced, our garage door repair Azusa specialists recommend that you contact us to adjust the door springs.